April's mid month 2 pair or better drawing went out to Phil Heintz (IL). We also had some four of a kind scratch cards to report on. Nathan Ivarson (SD) four 5's, Richard Olson Jr. (ND) four 8's, and Mellisa Block (IL) four Q's all turned in their cards to get qualified for Nationals which is only one month away! 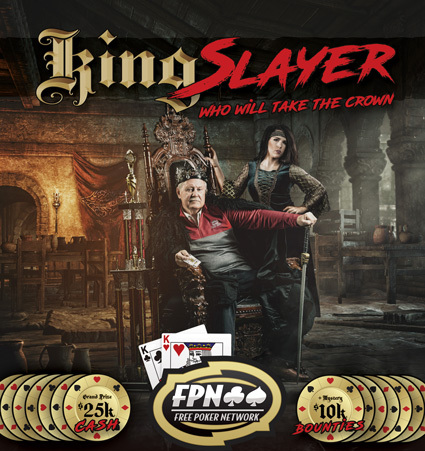 The May 1st FPN Online tournament winner was James Cornett (IN), the Winter Regional Tournament went to Jason Bergeson (MN), and the National TOC online tournament was taken down by Dave Kalet (NE) who had just also qualified for Nationals at the state level. Dave will have a double stack at Nationals, something that is not easy to do. 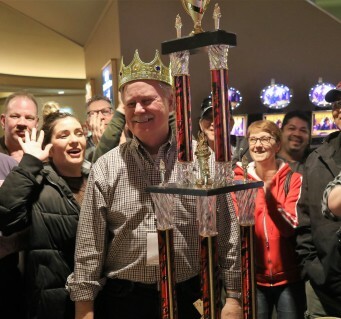 Also, the March perfect attendance winner was Kelly Hansen (ND) who won a local tournament buy-in. Congrats to all. On April Fools day James Rawls from Delray Beach, FL was the big winner on FPN Online. 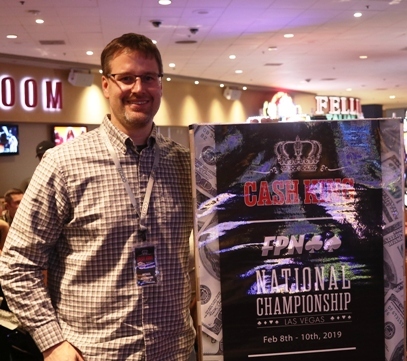 He wasn't fooling around that day as he took down the tournament getting himself qualified for the Colossus Poker Gods National Championship on June 3rd in Las Vegas. Congrats James. On March 1st Raul Rubio from San Francisco, CA took down the FPN Online monthly championship to get qualified for the Poker Gods National Championship. Mike Hill from Fargo, ND was drawn for the 2 pair or better drawing and Arden Laine from Minot, ND was picked in March for the Feb. perfect attendance drawing. Both Mike and Arden will be joining Raul in Las Vegas at the National Championship. There was one more lucky winner as well...Melissa Block from Plainfield, IL scratched off four queens in only six attempts to get qualified too! We look forward to seeing everyone in Vegas this summer! Congratulations to Allen Starkweather from Lincoln, NE and Bradford Schiller from Isanti, MN for qualifying for Nationals this summer. Both Allen and Bradford were lucky enough to scratch off 4 of a kind. Speaking of Las Vegas the FPN Online winner for February 1st was a local Las Vegas resident Richard Vaughn. We look forward to seeing all three at Nationals. Congratulations to Dan Goyette from Chicago IL and Richard Niezabitowski also from Chicago for recently winning the scratch poker drawings. Dan's card was pulled in January and Richard's card was pulled in February. Each are now both qualified for Nationals this upcoming summer.